Basis aber in unmittelbarer Nähe zum Herzen dieses Dorfes. * Luxus: Wi-Fi, Charakter Balken. wird bei der Buchung verlangt. * Dienstprogramme: Elektrischer Ofen / Gewindebohrer, Mikrowelle, Kühlraum mit Eiskasten. * Sonstiges: Bettwäsche und Handtücher werden gestellt. * Im Freien: Terrasse mit Gartenmöbeln. Parken: Privat für zwei Autos. A wonderful place to stay for an idyllic break. We chose this property for its unique charm and we weren’t disappointed. The Mill was small but perfectly furnished and equipped for our stay. We chose to cook most of our meals and found that everything we could possibly need was provided. No mean feat in a small space. Even though we went in February we managed to sit out in the evenings and loved the fact that little light pollution allowed the stars to put on a good display. 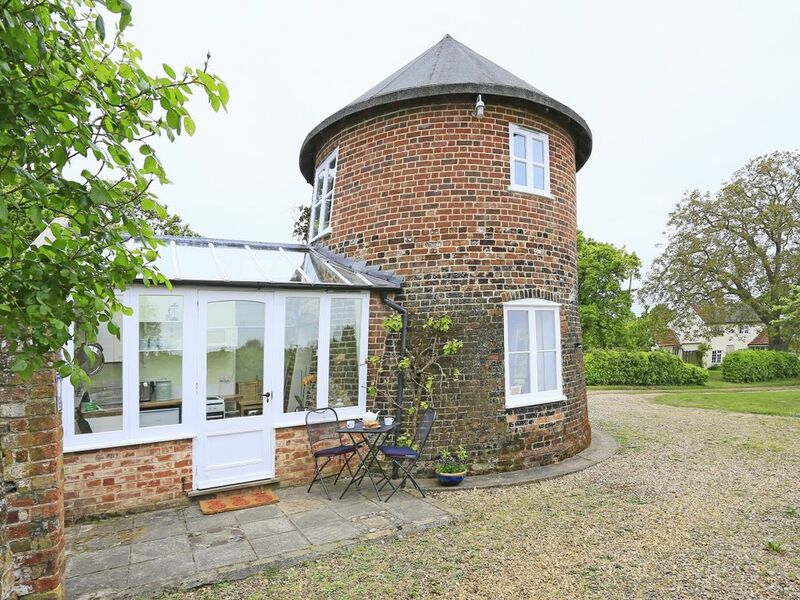 The Mill is situated near to many footpaths allowing ample opportunities to explore the immediate countryside, while nearby Woodbridge and Southwold provided alternative days out. The local pub, The Greyhound, is well worth a visit too. The mill was quaint and a little difficult to find but our stay was very comfortable.